A number of our guests this summer have stayed once or twice before with us now, and its like greeting old friends when they arrive. Rather like the swallows that come back to Skerry Hall Farm year after year! They (the swallows, not the guests!) take up residence in both the barn and its hayloft, and the old stable. 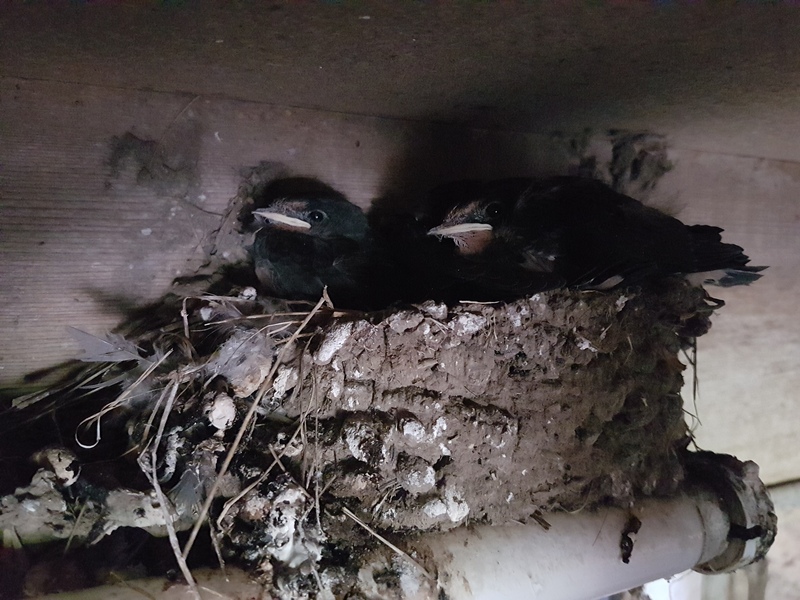 The photo shows one of the later broods in a nest built on the flourescent light fitting in the barn - if we have to go into the barn at night its a case of taking a torch so as not to disturb the swallows or their young. It's always a bit of a worry as to whether the later youngsters will be up to flying all the way to South Africa, we can only hope so. It won't be long now until we are into autumn - to our minds the best season of the year - the hedgerows are already laden with blackberries and the haws are colouring up. It is a beautiful time to go walking and exploring the coast when it is quieter after the peak summer season. The weather can be wonderful too, what better than autumn sunshine on the leaves as they change colour? We still have plenty of vacancies in October, so why not treat yourself to a short break or long weekend?